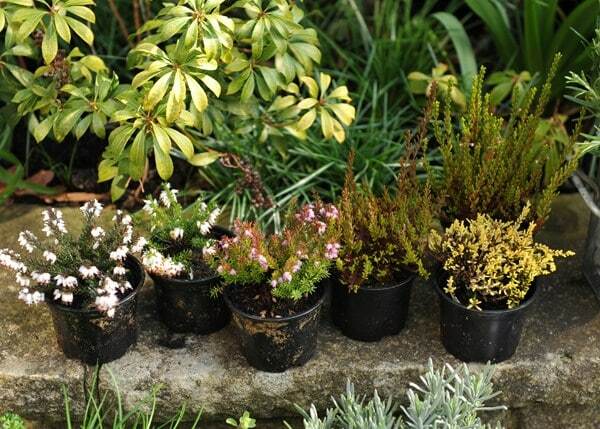 Heathers are wonderful little plants. Provided they are grown in acidic soil (or ericaceous compost) they are tough, colourful and most have a reasonably long flowering period. They are widely grown in rock gardens, and they make fine specimens for pots, but it is when they are planted in giant swathes (think Scottish Highlands) that they really look breathtaking. Flowers appear at different times of the year depending on the species, so it is possible to get flowers for most of the year if you have lots of different types. 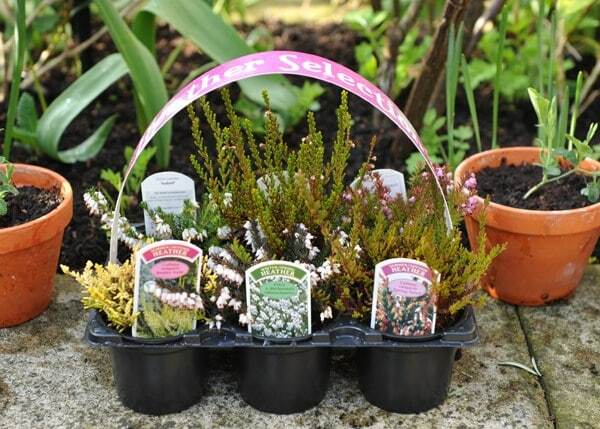 We have put together this starter pack of 6 mixed heathers. 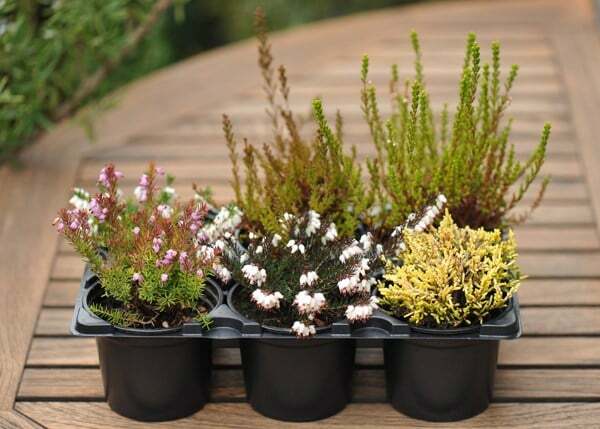 I'm afraid we cannot specify which ones you will get, but it will be a mixed selection of non labelled plants chosen for their colourful foliage and flowers. 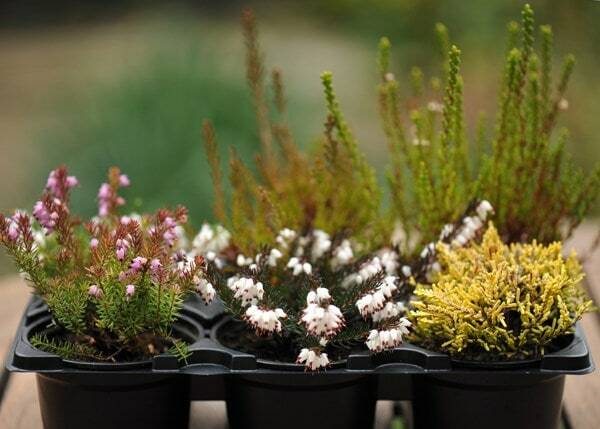 Garden care: Cut back the flowered shoots to within 2.5cm (1in) of the old growth after flowering. Used in border where I had laid bark they look good and makes it easy to maintain. Top class plants and service. I purchased these for a border in my front garden. Mixed them with rosemary and lavender for all year cover and fragrance. I wanted the heathers for a grave because they are hardy and attractive, and won't be eaten by deer or rabbits. 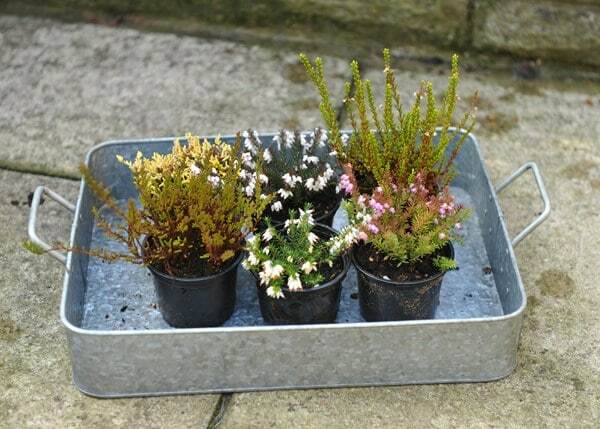 This heathery arrived in very good condition and I am so pleased that the plants are still alive six months later. Beautiful and delicate they are a delight to have in the garden but please note they need an acid soil. I dug out about a foot of alkaline clay soil and replaced it with a ix of top soil and acidic eracraceous moss before planting. The heathers were tiny when I planted them in a decorative border, and surrounded them decorative stone. They have all grown into strong, healthy plants which keep looking great. They flower in Winter so give the garden some interest at this time of year. do I need to use compost when planting these ? how far apart should I plant them pls ? Hello there I would mix in a good compost or a well rotted organic matter with the soil. They can spread to approx 35cm so you can use this as a guide. Hope this helps.